Griphold offers an advanced series of Torque Wrenches, which are especially designed keeping in mind the convenience of end users. We offer the complete range of torque wrenches, which are available under the brand name “Griphold”. We assure our clients that our tools and equipment are second to none in terms of exceptional power control technologies and precision tuned components. And this is the hallmark of our products that are known for reliability and dependability. The range of our advanced series torque wrenches includes Mechanical, Dial Type Torque Wrenches, Pneumatic Torque Wrenches, Electric Torque Wrenches, Hydraulic Torque Wrenches and Torque Multipliers besides Torque & Tear Tools as well as Torque Testers & Torque Verification System. 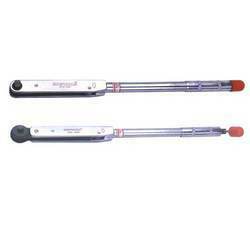 Click type Adjustable Torque Wrenches are normally used torque tools available in Ratcheting and Non -Ratcheting models. Ratcheting models are used for easy operations. They are available in different shapes and sizes. Griphold is one of the leading brands so far as the Mechanical Dial Torque Wrenches are concerned. 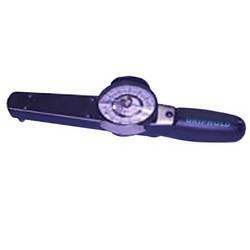 We manufacture high end heavy duty mechanical dial torque wrenches. 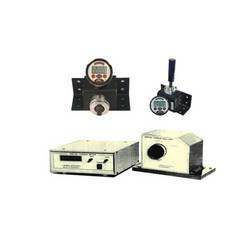 The range is available in different torque capacities and dimensional specifications. In addition we also offer customized solutions as per the industry specific application requirements. 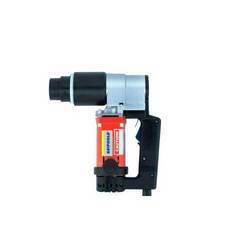 Square Drive: 1/4" to 1"
We offer technologically advanced Torque and Tear Tools, which are designed for higher operational efficiency, ease of handling and greater accuracy as well as consistency. 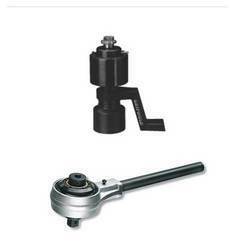 Made of superior quality materials and components, the complete range of our torque and tear tools are at par with international quality standards. The standard Torque Range is available from 290 nm to 1900 nm, which are suitable to Torquing & tear of special structural bolts of M12 to M30 sizes. The Tool will tear the tail end of bolt after achieving the torque which is widely used for tension control bolts in structural steel erection. Griphold is the brand to reckon with when it comes to industrial and engineering tools and equipment and with over a decade of industrial excellence coupled with extensive research and development, we offer a completely new series of power-packed Torque Multipliers, which are technologically much ahead of the competition. Moreover, we have developed capacities to even custom design torque multipliers as per the required specifications of industrial application. Griphold offers the technologically advanced series of Torque Testers & Torque Verification System, which are especially designed for operational accuracy and ease of operations besides higher levels of reliability. We make sure that our Torque Testers and Torque Verification System are not only compact in design but made with enhanced power control technologies and precision tuned components for dependability. TSD Series: Square Drive 200 nm-50285 nm 3/4" to 2-1/2"
We also offer Electric/Pneumatically operated Power Pack - 700 Bar, suitable for operating one, two and four tools simultaneously. We offer Heavy Duty Pneumatic Torque Wrench, which are especially designed for accuracy and excellent repeatability and at the same time it is the very useful tool for use at Hazardous area like Oil & Gas industries. And this is one feature that makes the tool operator’s job very easy, substantially enhancing the overall efficiency. 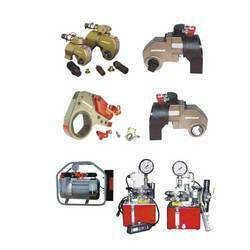 In addition to this there are additional features as well like the adjustment of torque output through air pressure control. 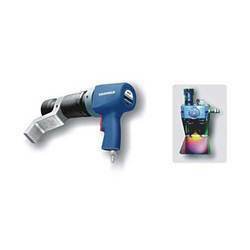 Square Drive: 1/2" to 1-1/2"
Looking for Torque Wrenches ?